Saturday, October 19 at 10 a.m.
We're excited to welcome you! Let us show you our facilities, introduce you to instructors and students, and answer all of your questions. The program begins promptly at 10 am with an information-packed presentation, followed directly by student-led tours of the college and labs. Attendees will then have the opportunity to meet with program representatives and apply for free at the event. The Preview Day program lasts approximately 1.5 hours. Reservations are required. Please fill out the form and click the orange "Submit" button. Want to visit Aultman College but the Preview Day date doesn't fit your schedule? No problem. 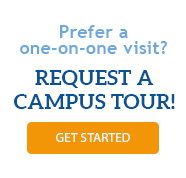 View our weekly campus visit availability. Preview Day Date*	 Select Preview Day Date* Saturday, October 19, 10 a.m.